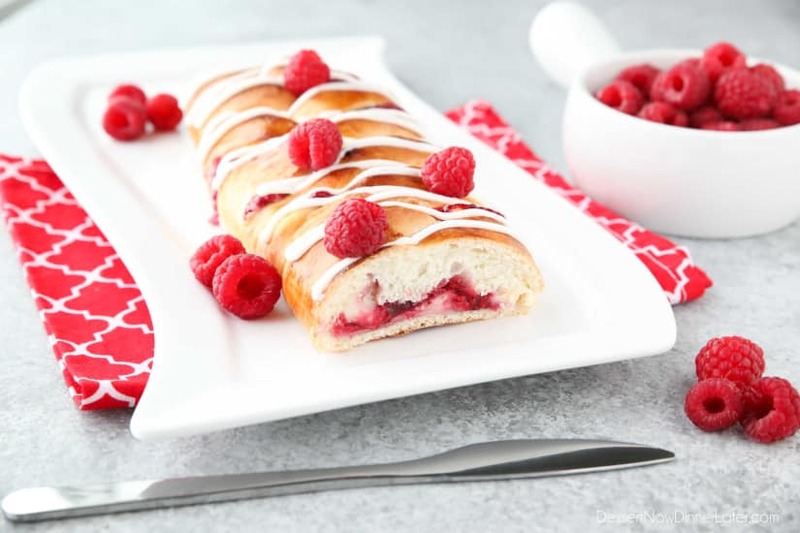 Raspberry Breakfast Braid - Dessert Now, Dinner Later! 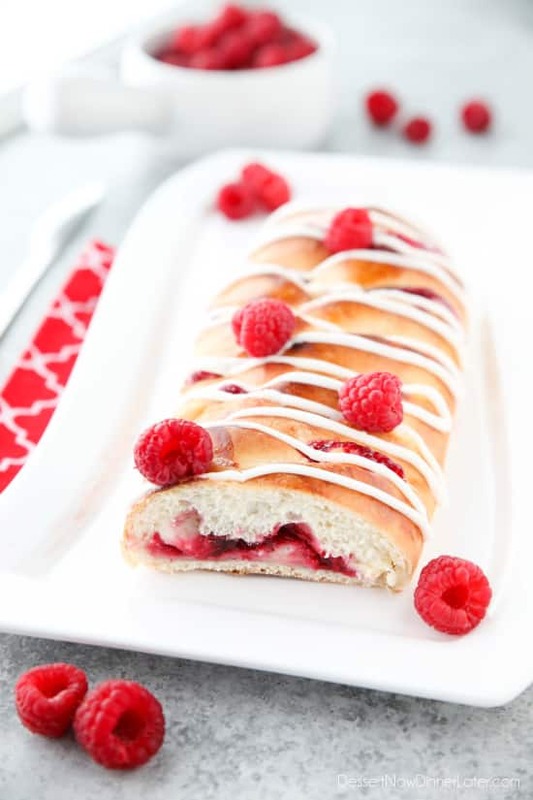 Raspberry Breakfast Braid – a quick raspberry sauce and cream cheese filling are stuffed inside this easy braided bread that’s drizzled with a sweet and simple icing. In a bakery I worked in, we made all sorts of pastries and danishes. Danish dough (or puff pastry) is quite time consuming to make since you fold multiple layers of butter inside the dough. You also must chill the dough after each layer of butter is added to keep it from melting, to create those flaky layers we all know and love. While you can most certainly purchase puff pastry to save the time and effort, it is quite often expensive and doesn’t produce a very large yield of pastries. 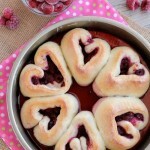 I opted to make a danish-like raspberry breakfast braid with a loaf of my favorite Rhodes White Bread. It’s inexpensive and so easy to work with. 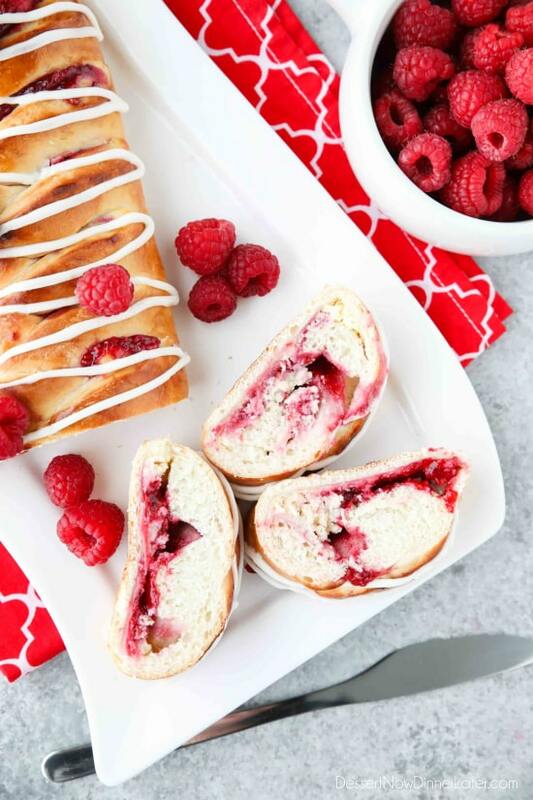 We loved the soft and fluffy bread with the sweet and creamy fillings inside of this raspberry breakfast braid! Of course the icing drizzle was the perfect topping. 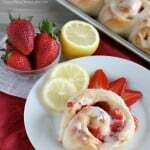 This would be an extra special breakfast or dessert for Valentine’s Day. For the raspberries, I made a quick raspberry sauce. It’s just fresh or frozen fruit with sugar, cornstarch, and lemon juice. Simmer until thick. You can finish it with a little almond extract to really make the fruit flavor pop. Feeling lazy? Open a can of raspberry pie filling or raspberry jam. The cream cheese filling is simply cream cheese, sugar, vanilla, and egg. It’s like a cheesecake that’s almost hidden until you take a bite. Then you get a mouthful of creamy goodness. Place a loaf of Rhodes frozen dough on a greased or silicone lined baking sheet covered with sprayed plastic wrap. Thaw and rise about 4-5 hours or overnight in the refrigerator. Roll out the thawed bread dough into a large rectangle about 12×18-inches (use a little dusting of flour, if needed). Using a pizza cutter, cut strips 1 1/2-inches apart on the long sides of the dough leaving about 6-inches in the center for the fillings. Spread the cream cheese filling in the center. Then dollop the raspberry sauce on top and gently spread it together. Pull the cut strips up and over the filling, alternating sides to create a braided (criss-cross) look. Pinch and tuck the ends the best you can so the filling won’t squeeze out. 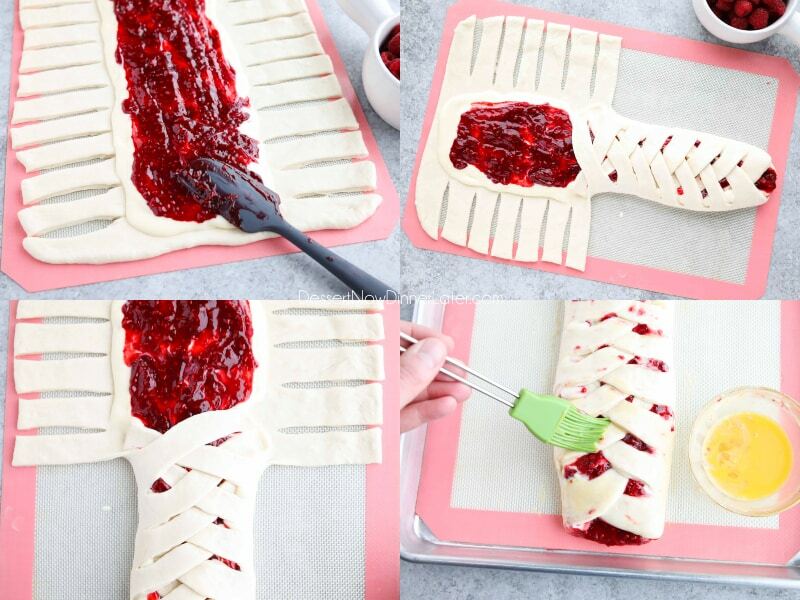 Place the braid onto a parchment paper or silicone lined baking sheet. Brush the top of the braid with egg wash (a whisked egg) and bake at 350 degrees Fahrenheit for 25-30 minutes until golden brown on top and bottom, double checking that the criss-crossed dough is fully baked. Cool completely, then mix together the icing (powdered sugar, heavy cream, and almond extract). Place it in a plastic zip-top bag. 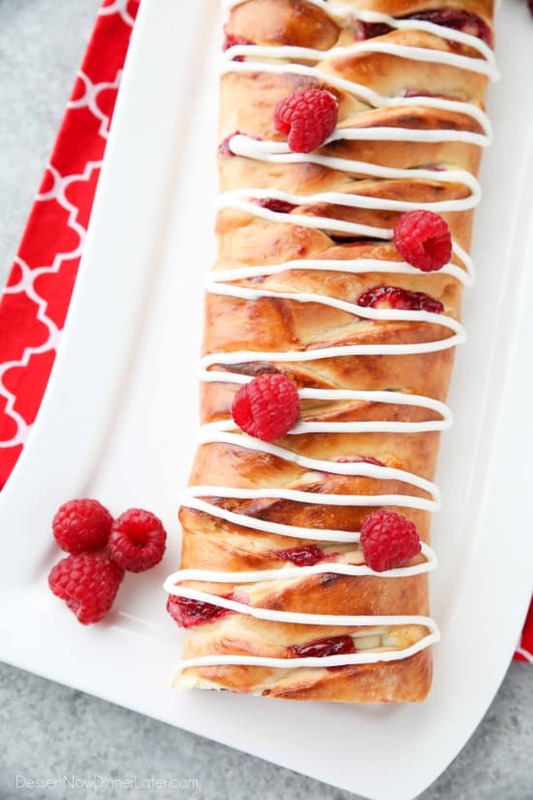 Cut off the corner and squeeze in a zig-zag pattern over the raspberry breakfast braid. 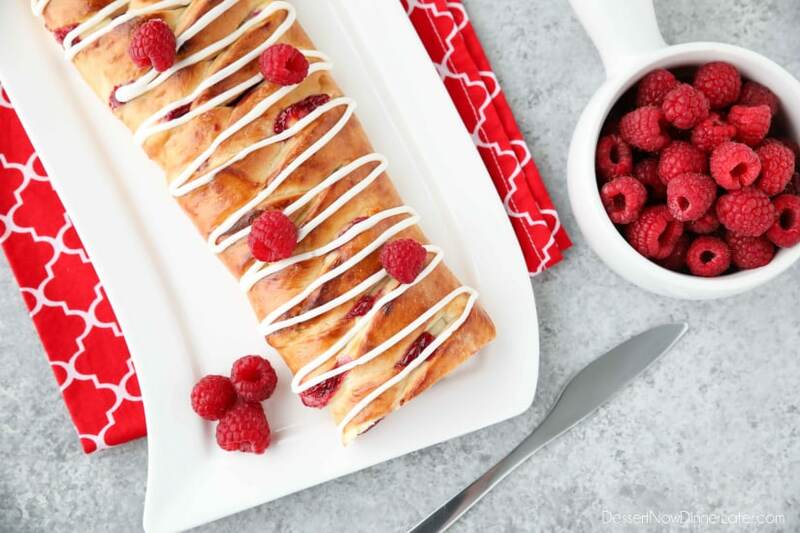 Cut the raspberry breakfast braid into slices and serve. My kids inhaled this loaf! Even my husband was fighting over it. So good! I hope you like it too! 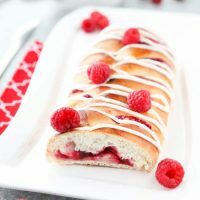 A quick raspberry sauce and cream cheese filling are stuffed inside this easy braided bread that’s drizzled with a sweet and simple icing. 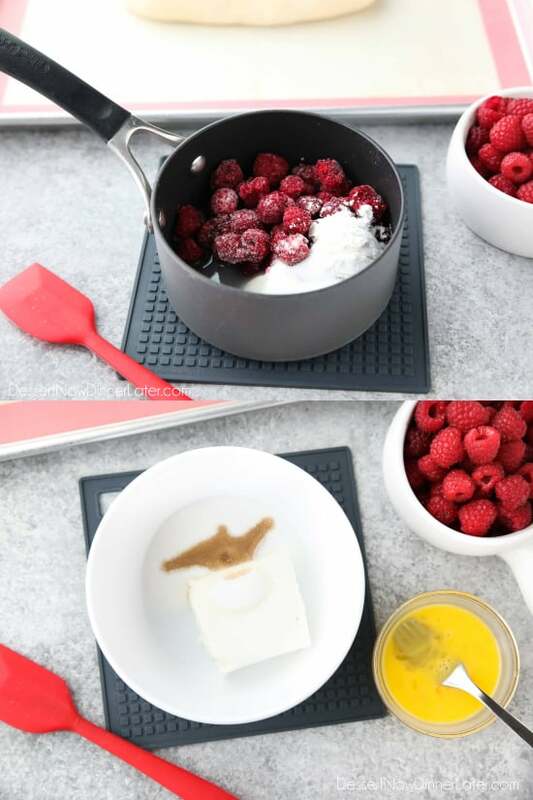 RASPBERRY SAUCE: In a small saucepan combine the raspberries, sugar, cornstarch, and lemon juice. Simmer on medium-low heat for about 8-10 minutes until thick, stirring occasionally. Remove from heat and stir in the almond extract, if desired. 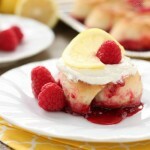 CREAM CHEESE FILLING: In a bowl, mix together the cream cheese, sugar, vanilla, and HALF of a whisked egg. Save the rest of the egg to brush the dough before baking. 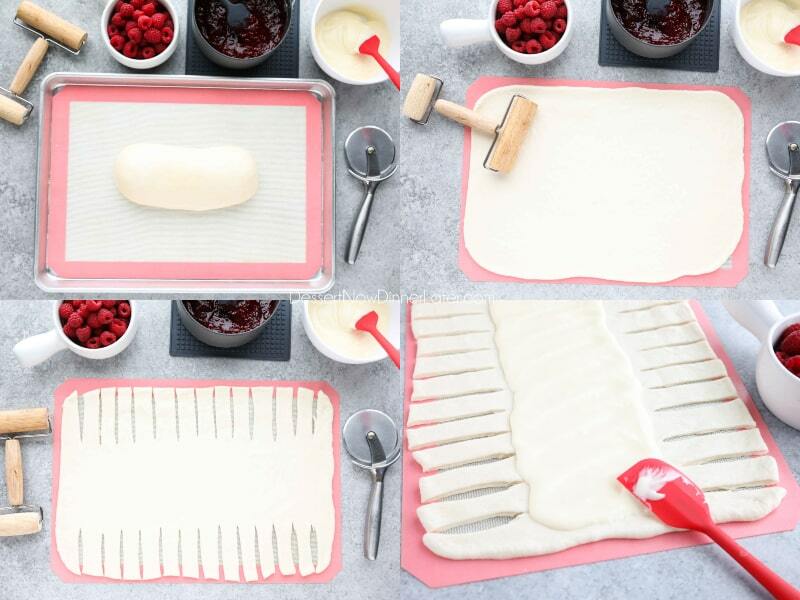 BRAID: Roll out the thawed bread dough into a large rectangle about 12×18-inches (use a little dusting of flour, if needed). Using a pizza cutter, cut strips 1 1/2-inches apart on the long sides of the dough leaving about 6-inches in the center for the fillings. Gently lift and place the braid onto a parchment paper or silicone lined baking sheet. Brush the top of the braid with the some of the remaining whisked egg. Bake at 350 degrees Fahrenheit for 25-30 minutes until golden brown on top and bottom, double checking that the criss-crossed dough is fully baked. Cool completely. ICING: In a small bowl, mix together the powdered sugar, 1 Tbsp heavy cream, and the almond extract. Add extra heavy cream 1 tsp at a time to desired consistency. Place icing in a plastic zip-top bag. 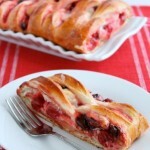 Cut off the corner and squeeze in a zig-zag pattern over the raspberry breakfast braid. Cut into slices and serve. *You may store any leftovers covered at room temperature or in the refrigerator, based on personal preference.